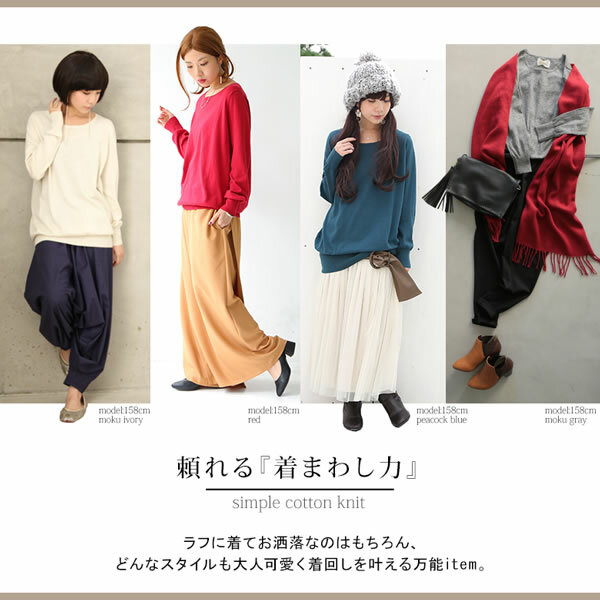 An adult girl is "first" ♪ stylish Walker original to be able to rely! 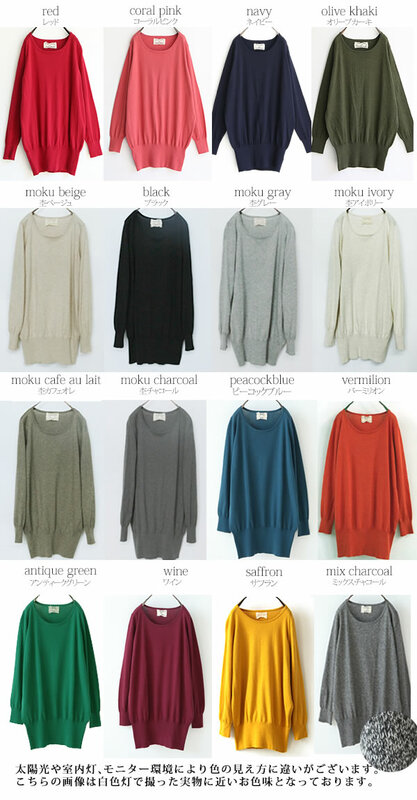 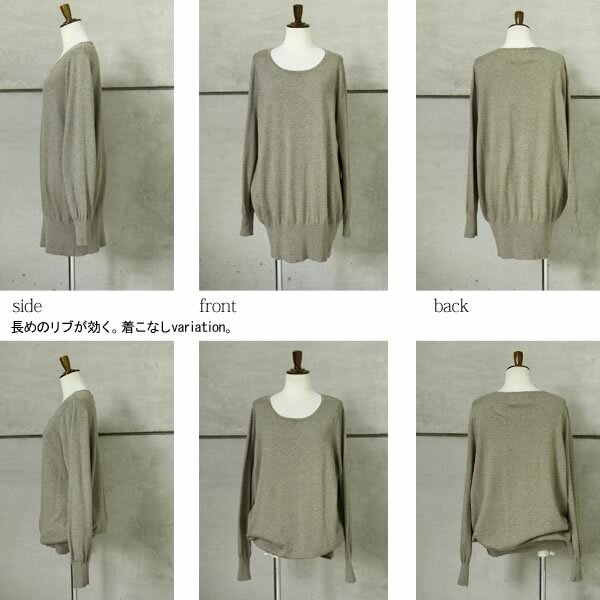 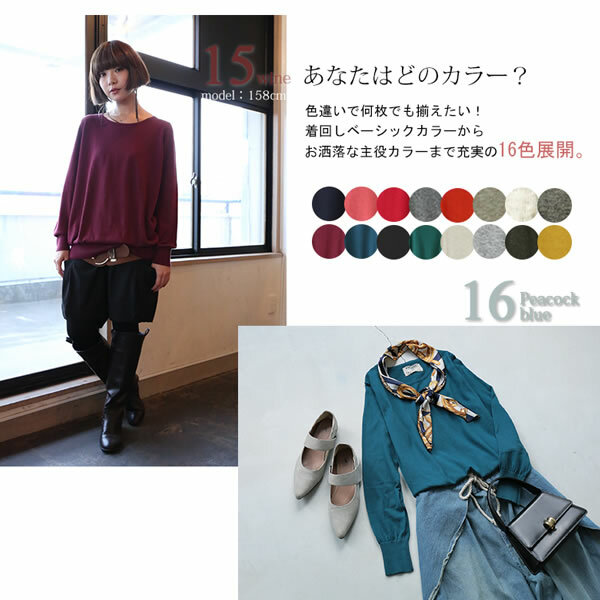 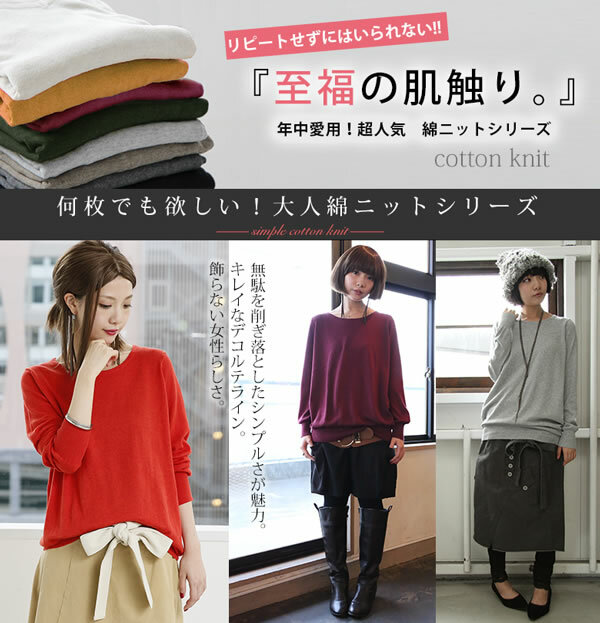 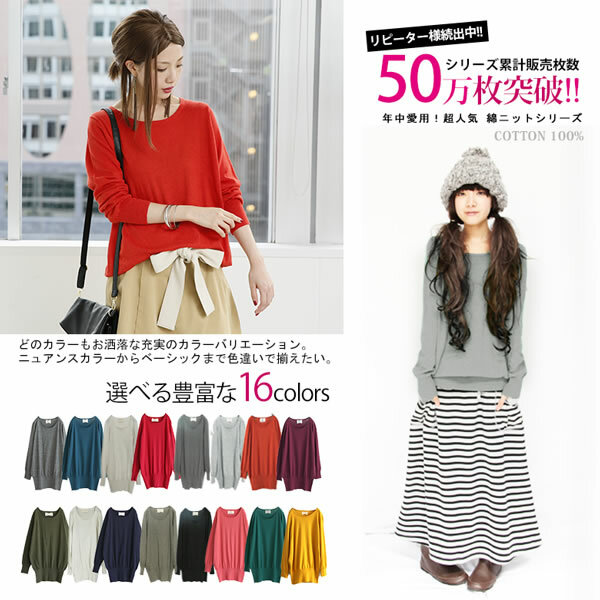 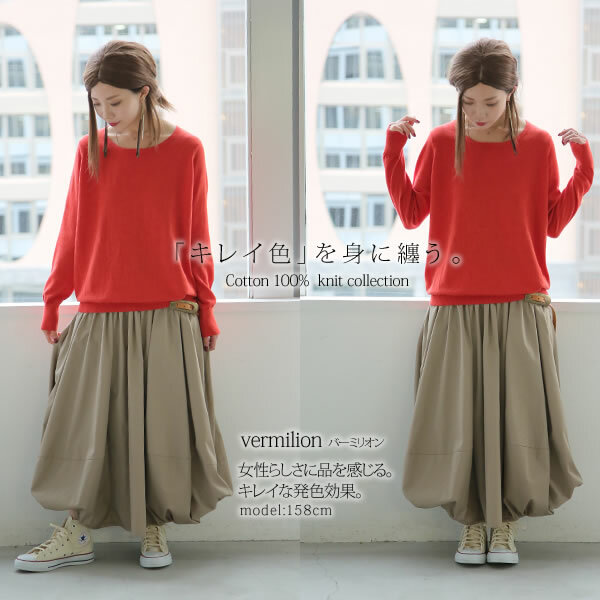 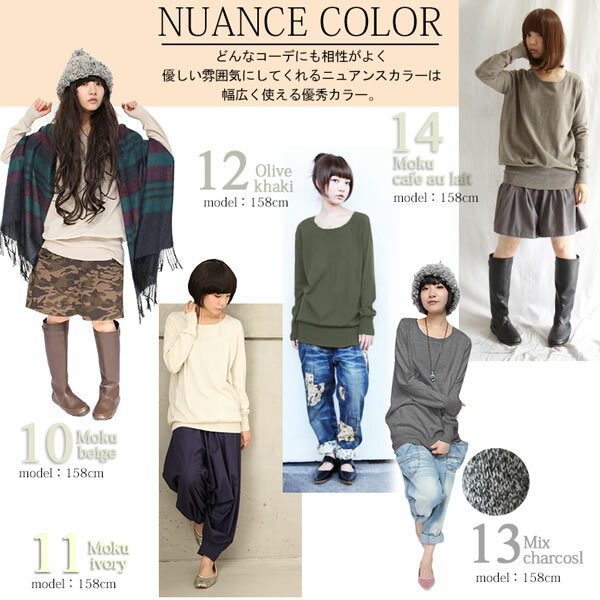 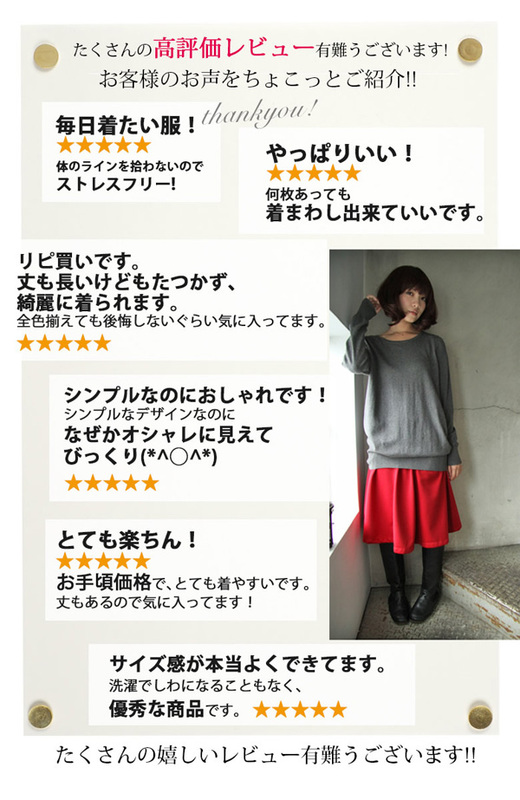 It is an appearance of the simple design knit. 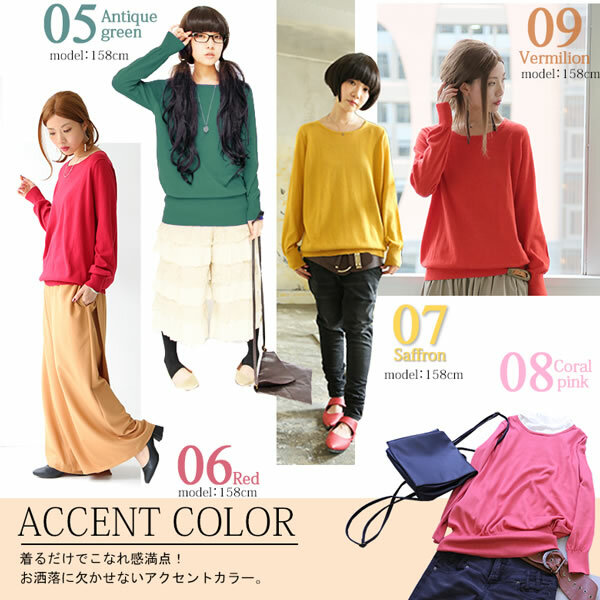 A rich variety of colors to be able to see the external color that the skin familiarity has good that I want it neatly. 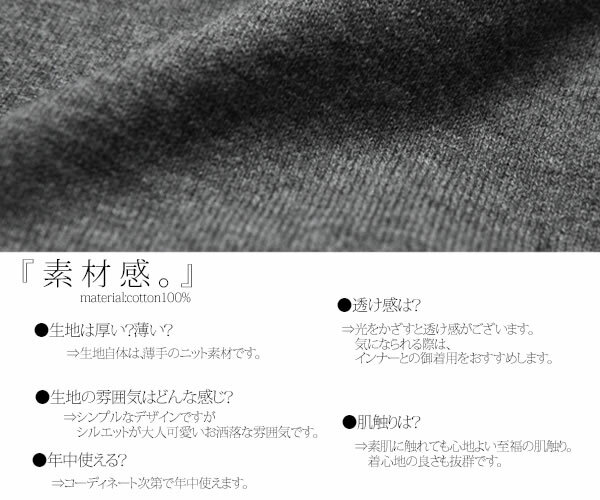 I am proud of cotton100 % material of the reputation, feel of the supreme bliss and good mix-and-match of the season reply by our store original. 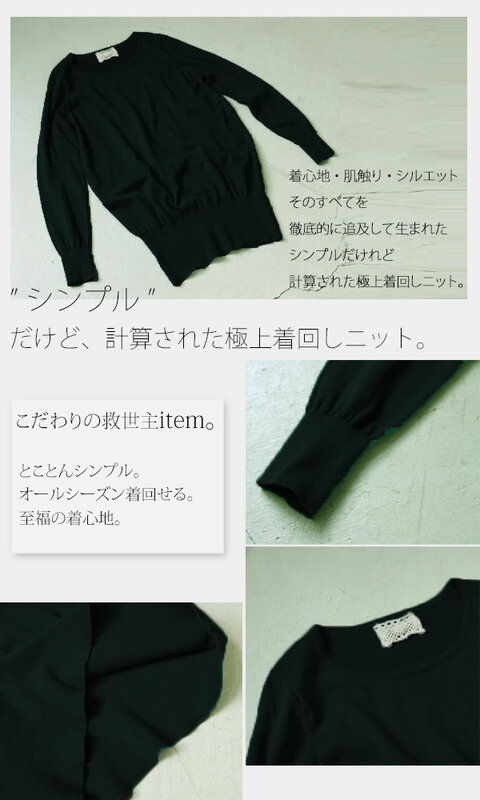 An item to be able to rely on which he/she surely helps when I hesitated about coordinates. 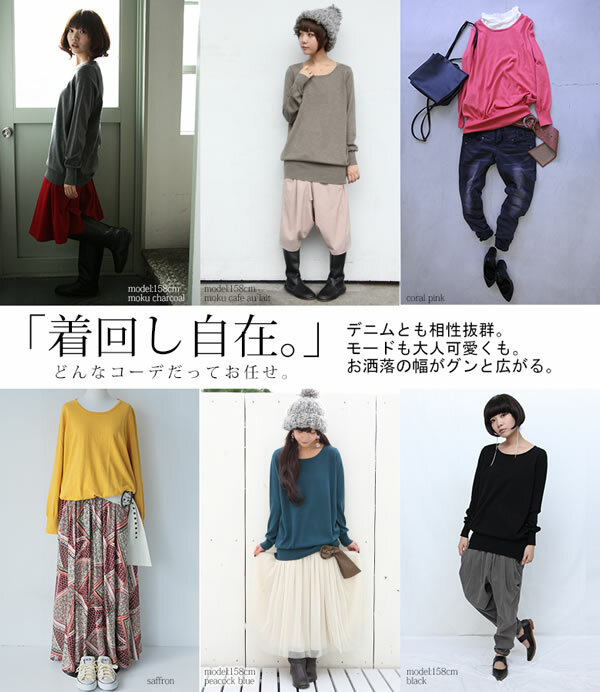 Though it is simple, I suggest the adult casual clothes which are not affected by a well-thought design. 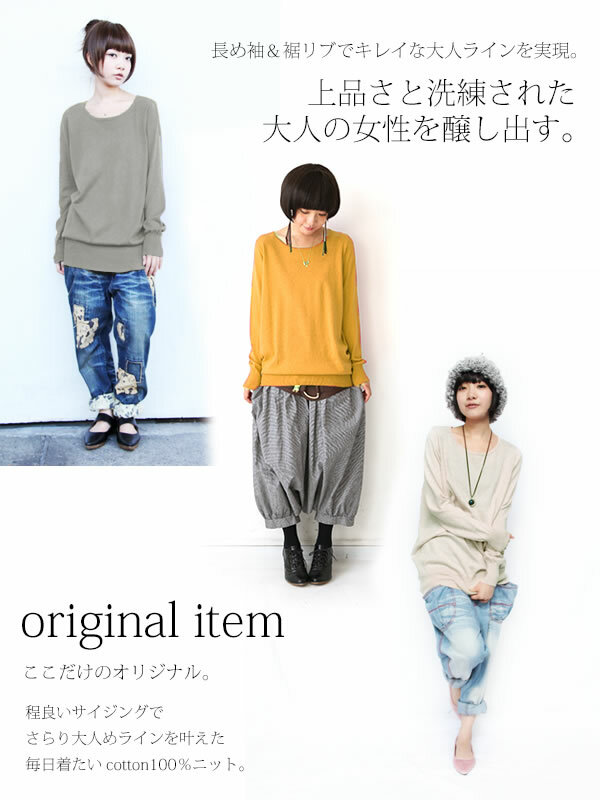 The stylish Walker original which grants adult め line by moderate sizing lightly! 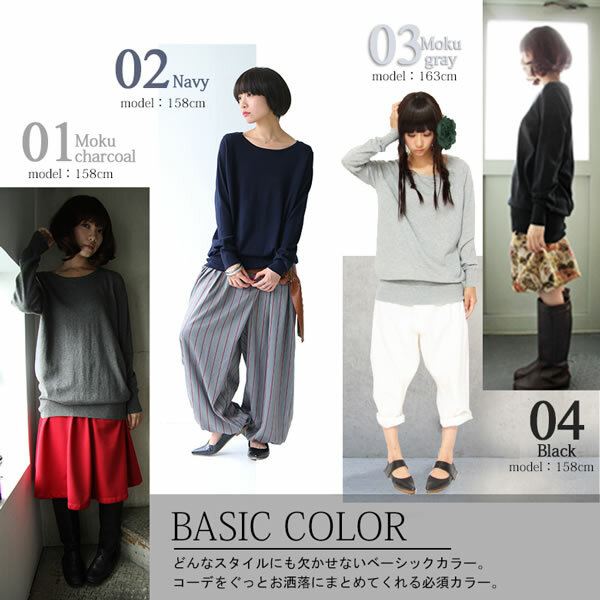 It is "crew neck Shin pull design knit". 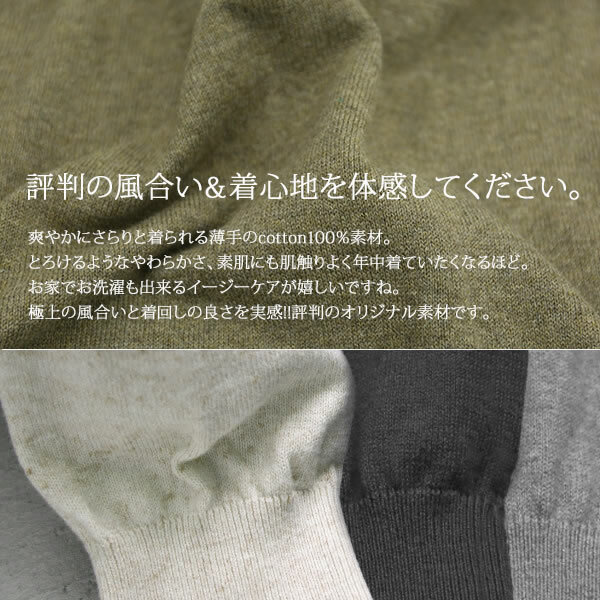 The length was the 10cm top than a knee. 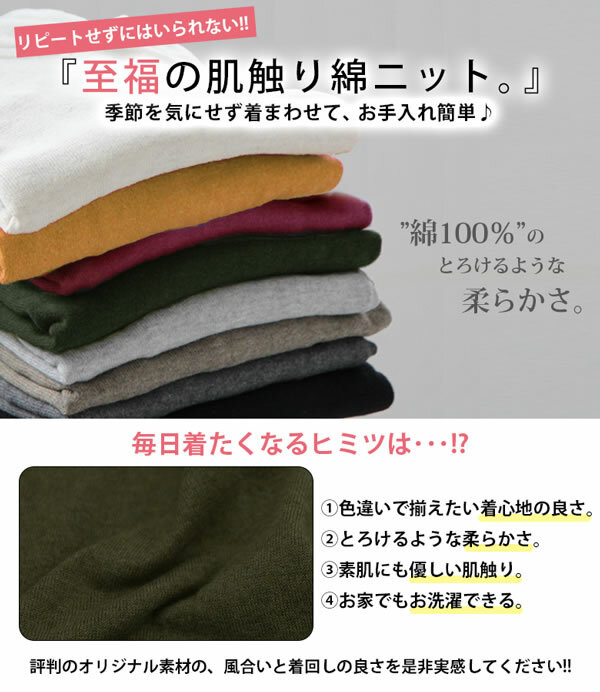 It is the attractive item which can show various expressions by an item to put together at ☆ mix-and-match power preeminence that feel was able to wear for well non-stress as it is 100% of cotton.